This former Roman camp and base for the mining operations nearby is now home to some magnificent architecture including a building designed by one of Spain’s premier architects. Gaudí’s work has widespread international appeal, and there are innumerable studies devoted to his way of understanding architecture. Today he is admired by both professionals and the general public: his masterpiece, the Sagrada Família, is one of the most visited monuments in Spain. Between 1984 and 2005 seven of his works were declared World Heritage Sites by UNESCO. He awakened to his Roman Catholic faith during his life and many religious symbols can be seen in his works, a fact which has led to his being nicknamed “God’s Architect” and calls for him to be beatified. 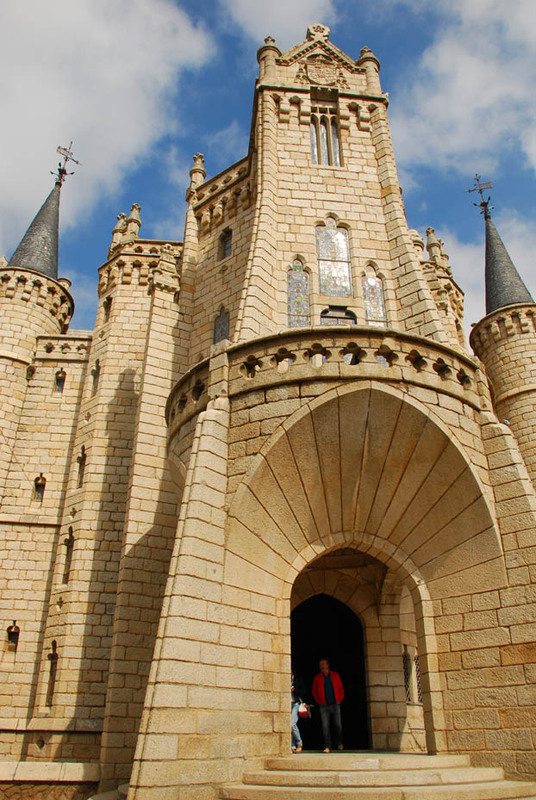 One of his works can be admired near the cathedral in the small hilltop town of Astorga, near Leon. Posted in Europe Tours, Spain Tours and tagged astorga, gaudi, spain.